New Jersey is sandwiched between New York and Pennsylvania on the East Coast. America's most densely populated state is home to Atlantic City, 'The Sopranos" and, of course, MTV's "The Jersey Shore" series. Drawing New Jersey is much harder than it looks, especially if you are unfamiliar with the Northeastern region. You can't forget the Hudson River border or the long strip that leads to Cape May. Study the shape of New Jersey using a map of the United States. Draw a rough sketch consisting of lines and rectangles with a pencil. Do not fill in every necessary detail, but a generalization of what the state should look like. Add detail to the rough sketch by creating more contoured lines and edges. 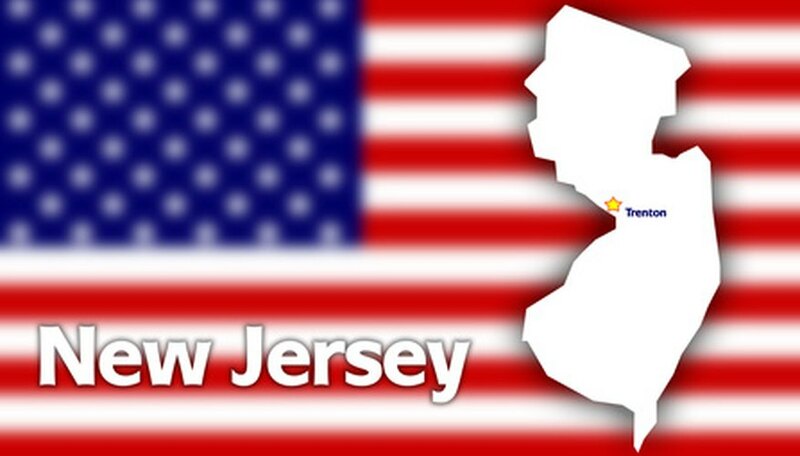 Use the United States map as a guide to shape your drawing of New Jersey. Start at the tip of Cape May and shape it to resemble a small rectangle. Curve left toward the Delaware Bay and continue the semicircle until you reach Camden. Draw an inverted triangle with its apex pointing toward Trenton. Draw an angled "L" for western New Jersey. Draw an angled line as a border that separates northern New Jersey from New York. Follow the shape on the United States map to draw the Jersey Shore and, consequently, complete New Jersey. Create a small strip that borders the Jersey Shore, extending from Long Branch to Cape May. Create indentations, curvatures and strokes where necessary with a pencil to add further detail. Clarify the state's borders with a black marker so the strokes are significant. Remove extraneous lines with an eraser. Draw a five-pointed star for Trenton, the state capital. Fill free to indicate other towns and major cities in your drawing. Use a map key, if necessary. Indicate the state's physical features with colored pencils to signify bodies of water, mountains and valleys. Do not blindly draw the edge of New Jersey. The drawing will almost certainly look lopsided or distorted in some way. "How to Draw New Jersey's Sights and Symbols"; Melody S. Mis, Laura Murawski; Rosen Publishing Group, 2002.